Hunt Forest Resources, LLC will provide short or long term management of your timber and strives to make your tree farm or timberlands your most productive asset. We can provide you the knowledge and expertise to most effectively and efficiently manage your greatest renewable resource. Increase your profits and enhance marketability through opportunities provided by Hunt Forest Resources, LLC. Let us assist you in minimizing your costs and maximizing your benefits gained from timber resources. 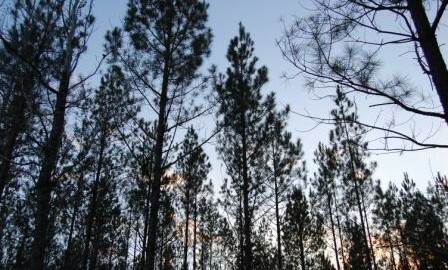 Please visit “Our NC Woodyard” section for additional details on how our three wood buying facilities can serve you. Hunt Forest Resources, LLC will help you through every facet of forest management to facilitate a successful and perpetual forest stand. We provide assistance with site preparation, herbicide releases, planting / reforestation programs, controlled burnings, marketing, thinning harvest operations, and final harvest operations. Call us today for more information. Financial gain and sustaining a renewable resource are some of the many reasons to go through the long process of growing timber. Understanding the value and potential harvest processes is crucial in making well-informed decisions. Call now and ask to speak to one of our Registered Foresters for more information. Stop paying landfills to dump your wood products and start getting paid by the ton for it. Come visit one of our three Woodyard locations where we buy your logs and pulpwood. Accepting loads of any size. Give us a call today for more information! Hunt Forest Resources, LLC is a renewable resource management company headquartered in Youngsville, North Carolina, and serves all landowners, land developers and tree service professionals throughout the Carolinas and Virginia. It is our objective to create a plan to help landowners manage their timber from a financial perspective as well as to ensure future forests sustainability. We provide high quality and comprehensive forest management to landowners, both privately held and commercial ventures, who seek investment opportunities. Your forest resources are our primary responsibility, as we believe in sound land and forest management initiatives. We strive to develop and implement the most appropriate and beneficial forest management techniques to ensure sustainable harvests of high-quality timber products and by-products for future generations to come. Give us a call today for more details.